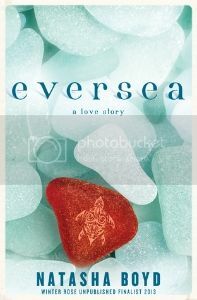 Today I'd like to welcome Natasha Boyd and her phenomenal new release Eversea to Pure Jonel! An orphaned small-town southern girl, burdened by responsibility and stuck in time. director, A-list hottie, Jack Eversea, finds himself in sleepy Butler Cove, South Carolina. Jack hopes the sultry southern heat in this tiny coastal Lowcountry town will hide him not only from the tabloids and his cheating girlfriend, but his increasingly vapid life and the people who run it. He doesn’t count on meeting Keri Ann Butler. Keri Ann has relied on herself so long, dealing with her family’s death and the responsibilities of keeping up her family’s historic mansion, that boys and certainly the meager offering of eligible boys in Butler Cove, have never figured into her equation. But fate has other plans. Suddenly face to face with the man who played the movie role of her favorite fictional character, Jack has Keri Ann yearning for everything she has previously avoided ... and Jack must decide whether this funny, sassy girl is worth changing his life for, before his mistakes catch up to him. Eversea is a FINALIST in the Winter Rose Unpublished Contest for 2013. This was a phenomenally thrilling story. You got the rush of a whirlwind romance combined with a healthy dose of reality that draw you in and keep you guessing and hoping right to the very end. You won’t be able to put this one down. 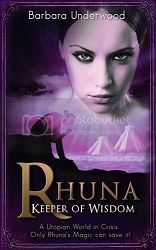 Boyd has the ability to trigger emotions in her readers. This novel made me feel an entire spectrum of emotions. I went through the same whirlwind that the characters did. It was a novelty. The author didn’t simply tell me or show me what was going on, she pulled me in and allowed me to participate, to live vicariously through her characters and their stories. Not only does Boyd evoke some very intense emotions in her readers, but she also illustrates all of the scenery and action perfectly. Everything is presented in such vivid clarity that Boyd leaves very little to the imagination with this novel. That said, the intensity and realism that she provides is part of what makes this story so intensely enjoyable. The characters that Boyd creates for this novel are so real that they set the bar for romance characters. I love how real they are. This comes right down to their relationship with one another. Although one is famous and one is a small town girl their interactions don’t change who they are. I also absolutely love how the main character compares her love life to the romance novels that she reads. It’s something that most of us can relate to. The supporting cast is also quite well developed, although it is done in such a manner that they don’t overpower the main characters. This was a phenomenal escape from reality with the main character living the life that we all dream of when reading a romance. I definitely can’t wait to read the sequel to this. I can’t wait to find out what happens next. How will it all end?